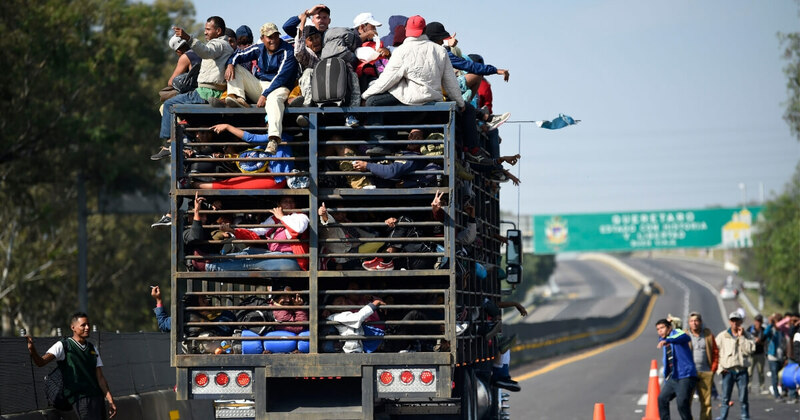 A new migrant caravan from Central America is heading for the United States, and Mexico left their border wide open for the migrants to pass through. The caravan passed over the Guatemala-Mexico border on Friday and is roughly 1,000 strong, Fox News reported. The migrants crossed the bridge from Tecun-Uman to Ciudad Hidalgo and were met with no resistance from Mexican officials. In fact, the migrants were surprised to find that the gates weren’t even locked. One Mexican official told Fox News that he and other officials avoided the caravan because they “did not want to confront” them. In October, during the previous caravan’s treck to the Mexican border, Mexican officials attempted to confront them but some migrants retaliated with violence to push through the border, using rocks, sticks, glass bottles and even explosives. Regardless, Mexican officials shouldn’t stand down this time because the migrants might be violent — they should increase their security and be better prepared. Now a group of unchecked and potentially violent illegal immigrants are on their way to the United States.